Dr. Sendi – at NOVA Addiction Specialists can evaluate you to see if Sublocade will work for you. I’m posting two totally unrelated items. One is a link to anti-inflammatory recipes I found to be pretty good. Then below is a link to Pharmacy Times article regarding Sublocade, the new once-a-month injectable version of Suboxone. The United States is in the middle of an opioid abuse epidemic. 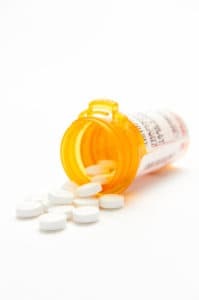 Since 1999, the number of overdose deaths involving opioids has quadrupled and currently an estimated 91 Americans die every day from an opioid overdose.1 Over recent years, an emphasis has been placed on the role of medication-assisted treatment (MAT) combined with psychosocial support to combat the growing opioid epidemic. In November 2017, the FDA approved Indivior’s Sublocade, an extended-release buprenorphine injection for the treatment of moderate-to-severe opioid use disorder (OUD) in adult patients who have initiated treatment with a transmucosal buprenorphine-containing product. With its approval, Sublocade became the first once-monthly buprenorphine injection for the treatment of OUD. This article highlights several key therapeutics areas with Sublocade that every pharmacist should know. Sublocade contains buprenorphine, a partial opioid agonist, and is indicated for the treatment of moderate-to-severe OUD in patients who have initiated treatment with a transmucosal buprenorphine-containing product, followed by dose adjustment for a minimum of 7 days. Sublocade should be used as part of a complete treatment program that includes counseling and psychosocial support. The safety and effectiveness of Sublocade have not been established in pediatric patients. Additionally, Sublocade is not appropriate for use in opioid naïve patients or for treatment where Sublocade would be the first buprenorphine product used. Sublocade contains an extended-release formulation of buprenorphine, which is a partial agonist at the mu opioid receptor and an antagonist at the kappa opioid receptor. Buprenorphine displays high affinity at these receptions and therefore is not easily replaced by other opioids. Sublocade is available as a sterile, clear solution in a single dose, prefilled syringe with safety needle. It is available in 2 formulations: 100 mg/0.5 mL and 300 mg/1.5 mL. It should be stored in refrigeration at 2 to 8°C (35.6 to 46.4°F). Once outside the refrigerator it may be stored in its original packaging at room temperature for up to 7 days prior to administration. If left at room temperature for longer than 7 days Sublocade should be discarded. Only health care providers should prepare and administer Sublocade. Additionally, Sublocade is subject to a risk evaluation and mitigation strategy (REMS) program that includes a restricted distribution system to ensure that Sublocade is only administered by a healthcare provider. Therefore, this is not a medication that would typically be dispensed through retail pharmacy. The recommended dose of Sublocade following induction and dose adjustment with transmuscosal buprenorphine is 300 mg monthly by subcutaneous injection in the abdominal region for the first 2 months followed by a maintenance dose of 100 mg monthly. The maintenance dose may be increased to 300 mg monthly for patients who tolerate the 100 mg dose, but do not demonstrate a satisfactory clinical response, as evidenced by self-reported illicit opioid use or urine drug screens positive for illicit opioid use. A patient who misses a dose should receive the next dose as soon as possible, with the following dose given no less than 26 days later. Occasional delays in dosing up to 2 weeks are not expected to have a clinically significant impact on treatment effect. Notably, Sublocade is only appropriate in adults who have initiated treatment on a transmucosal buprenorphine-containing product delivering the equivalent of 8 to 24 mg of buprenorphine daily. The patient may only be transitioned to this medication after a minimum of 7 days. Initiating treatment with Sublocade as the first buprenorphine product has not currently been studied. The efficacy of Sublocade for the treatment of moderate to severe OUD was established in a phase 3 double-blind study and an opioid blockage study. The phase 3 study was a 24-week, randomized, double-blind, placebo-controlled, multicenter trial in treatment-seeking patients who met the DSM5 criteria for moderate or severe OUD. Patients were randomly assigned to one of following dosing regimens: 6 once-monthly 300 mg doses, 2 once-monthly 300 mg doses followed by 4 once-monthly 100 mg doses, or 6 once-monthly SC injections of placebo. All patients received psychosocial support at least once a week. Prior to the first dose, treatment was initiated with Suboxone (buprenorphine/naloxone) sublingual film with doses adjusted from 8/2mg to 24/6 mg per day over a period of 7 to 14 days. Efficacy was evaluated over weeks 5 through 24 based on weekly urine drug screens combined with self?reported use of illicit opioid use. A total of 504 patients were randomized into the study. Based on the cumulative distribution function (CDF) of the percentage of urine samples negative for illicit opioids combined with self-reports collected from week 5 through week 24, regardless of dose, Sublocade was statistically superior to the placebo group. Additionally, the proportion of patients achieving treatment success (defined as patients with ≥80% opioid?free weeks) was statistically significantly higher in both groups receiving Sublocade compared to the placebo group (28.4% [300 mg/100 mg], 29.1% [300 mg/300mg], 2% [placebo]). The most common adverse reactions of Sublocade reported in clinical trials include constipation, headache, nausea, injection site pruritus, vomiting, increased hepatic enzymes, fatigue, and injection site pain. Sublocade has a boxed warning noting that serious harm or death could result if this medication is administered intravenously. Other warnings and precautions in the prescribing information include a risk of addiction, abuse, and misuse, respiratory depression, adrenal insufficiency, hepatic events, and opioid withdrawal with abrupt discontinuation. Benzodiazepines and other central nervous system (CNS) depressants should be used with caution due to an increased risk of respiratory depression. Patients taking CPY3A4 inhibitors and substrates should be closely monitored for potential over- or under-dosing. In clinical studies, Sublocade was shown to be effective in reducing illicit opioid use as compared to placebo and block ≥70% of mu-opioid receptors. Sublocade was relatively well-tolerated with most adverse effects attributed to injection site reactions and other effects common to all buprenorphine products. Sublocade is advantageous as a once monthly injection which can help remove the burden and decision of having to take another buprenorphine medication on a day-to-day basis. For some people, this may help improve adherence. Although Sublocade is the first once-monthly buprenorphine injection for the treatment of OUD another long-acting buprenorphine product, Probuphine, has been available on the market since 2016. Head to head studies would be beneficial to compare the efficacy of Sublocade versus other buprenorphine containing products. Sublocade [Prescribing Information]. Indivior Inc. North Chesterfield, VA. November 2017. Lexicomp Online®, Lexi-Drugs®, Hudson, Ohio: Lexi-Comp, Inc.; December 15, 2017.
apyrase produces a reduction in withdrawal behaviors. suppressed ATP release and reduced withdrawal severity. Could This Inexpensive Medication Reduce Your Withdrawal Symptoms? Withdrawal. It’s a huge hurdle on the path to recovery. Those struggling to leave opioids behind know they’ll eventually have to face the intimidating mental and physical effects of withdrawal. It’s a powerful and frightening thought. Even though millions of Americans are in the midst of this battle, few medications are available to effectively manage their symptoms. This unavailability – and the onset of painful withdrawal symptoms – are often enough to make many people give up and return to opioids for relief. According to the results of a recent study, help for intense withdrawal symptoms might be on the horizon, thanks to the discovery of a new drug. “Opioid withdrawal is aversive, debilitating, and can compel individuals to continue using the drug in order to prevent these symptoms,” explains lead researcher Tuan Trang, PhD. Researchers from the University of Calgary’s Faculty of Veterinary Medicine and Hotchkiss Brain Institute investigated the process of withdrawal and its’ possible causes. The study involved rats which had been given two potent opioids, morphine and fentanyl. The team identified the glycoprotein, pannexin-1, as the source of withdrawal symptoms in rodents. Pannexin-1 is also located throughout the human body, including the brain and spinal cord. After identifying the cause of these symptoms, the team tested a drug already proven to block the effects of pannexin-1 called, Probenecid. It’s an anti-gout medication that’s fairly cheap and has few side effects. The results showed this medicine was “effective in reducing the severity of withdrawal symptoms in opioid-dependent rodents.” Another encouraging aspect about their findings: the medication didn’t affect an opioids’ ability to relieve pain. Previous research hadn’t explored this avenue, and this investigation has provided a better understanding of opioid withdrawal at the cellular level. The team behind the study plan to continue their work and hope this new insight will lead to the creation of a more effective treatment method for the symptoms of withdrawal. Dr. Trang says their next steps will be to determine the drug effectiveness in humans and to ensure its’ safety. Their goal is to develop an effective method to treat the millions struggling with pain management and opioid dependency across the nation and around the world. These results have already lead to the development of a clinical trial at the Calgary Pain Clinic. Courtesy of US WorldMeds, LLC. The National Institute on Drug Abuse (NIDA), part of the National Institutes of Health, is pleased to announce that lofexidine, the first medication for use in reducing symptoms associated with opioid withdrawal in adults, has been approved by the U.S. Food and Drug Administration. Lofexidine, an oral tablet, is designed to manage the symptoms patients often experience during opioid discontinuation. Opioid withdrawal symptoms, which can begin as early as a few hours after the drug was last taken, may include aches and pains, muscle spasms/twitching, stomach cramps, muscular tension, heart pounding, insomnia/problems sleeping, feelings of coldness, runny eyes, yawning, and feeling sick, among others. The product will be marketed under the brand name LUCEMYRATM. In 2016, more than 42,000 people died from an opioid overdose, or approximately 115 people per day. Although effective treatments exist for opioid addiction, painful and difficult withdrawal is one of the reasons treatment fails, and relapse occurs. By alleviating symptoms associated with opioid withdrawal, LUCEMYRA could help patients complete their discontinuation of opioids and facilitate successful treatment. To date, no other medications have been approved to treat opioid withdrawal symptoms. LUCEMYRA will be marketed by US WorldMeds, a specialty pharmaceutical company that acquired a license for lofexidine from Britannia Pharmaceuticals in 2003. NIDA provided funding to US WorldMeds to support clinical trials to document the clinical pharmacokinetics of lofexidine and to test medical safety and efficacy of the medication, as compared to a placebo, among patients undergoing medically supervised opioid discontinuation. 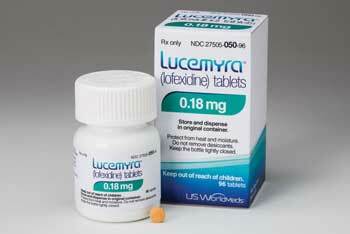 LUCEMYRA is expected to be commercially available in the United States in August 2018. For more information about opioids, go to the Opioids webpage. For information about treatment approaches for drug addiction, go to Treatment Approaches for Drug Addiction. available in the United States. The drug is used in the management of symptoms of severe opioid withdrawal. literally bring in someone using opioids, give them this drug, and they can immediately stop using opioids,” said Alam. The study was presented at the American Society for Clinical Psychopharmacology (ASCP) 2018.
brands), but many patients wish to stop using opioids completely, Alam said. the best evidence is to switch them over to buprenorphine and do buprenorphine for the rest of their life,” he said. reduces the symptoms of withdrawal to a point at which they become very tolerable. withdrawal symptoms at that point were mild,” Alam said. opioids. Most were men (71%); the mean age of the patients was 35 years (±11 years). Most patients (83%) were dependent on heroin. mg/day) for 7 days after abrupt opioid discontinuation. signs and symptoms in which higher scores indicate worse symptoms. group (OR, 1.71; P = .02), vs 27.8% for placebo. resulted in few study discontinuations. (FDA), as reported by Medscape Medical News. This approval came after 17 years of hard work on the part of the National Institute on Drug Abuse (NIDA).